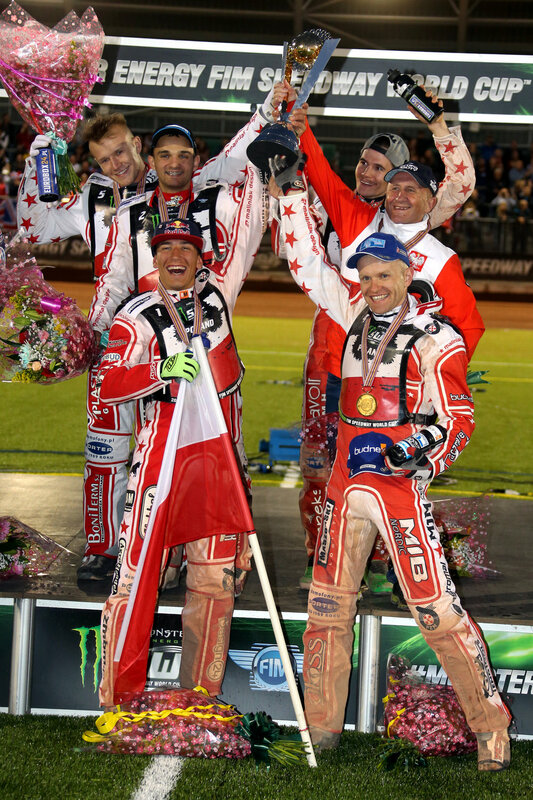 Poland took the senior team world championship and the Ove Fundin trophy in an enthralling World Final at Manchester’s new National Speedway Stadium in July. For their Team Manager Marek Cieslak it was a record sixth World Cup win in the ten years that he has served as National Coach but it was by no means as easy as the final score would suggest. 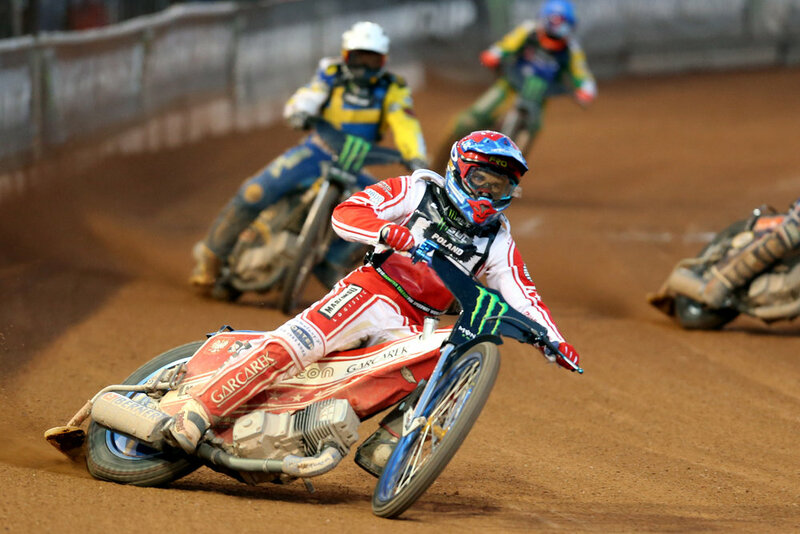 Poland had qualified for the Final by winning the first round in Vojens and might have been relieved that holders Denmark were themselves eliminated in the Race Off meeting. Nevertheless, it was a brave and some would say ruthless decision of Cieslak to replace Grand Prix star and Polish captain Maciej Janowski with experienced Krzysztof Kasprzak in his team for Manchester. As expected Australia, Sweden and Great Britain proved to be no meagre opponents and it was the Swedes who raced into an early lead scoring ten out of a possible twelve over the first four heats in their quest to retain the title they won in 2015. Poland were not deterred by this and gradually clawed back the deficit as the Swedes suddenly found points hard to score. They also saw off a determined challenge from the home team during the later heats and, fittingly, it was Kasprzak’s second place in heat 19 which sealed victory. That spirited performance from Great Britain earned them the Silver Medal ahead of the Swedes in what was an emotional night for the home team. It is an interesting statistic that each member of the Polish team, Kasprzak, Janowski, Piotr Pawlicki, Patrik Dudek and Bartosz Zmarzlik has been an Under 21 World Champion.